When a restaurant chain can legitimately claim "over a billion served," it might seem impossible for one of its branches to close. Thus, the West Linn community was shocked to learn about the recent closure of the McDonald's restaurant on Highway 43. After about 20 years in the Robinwood area, the restaurant closed this past December and the property will be sold by the McDonald's Corporation. 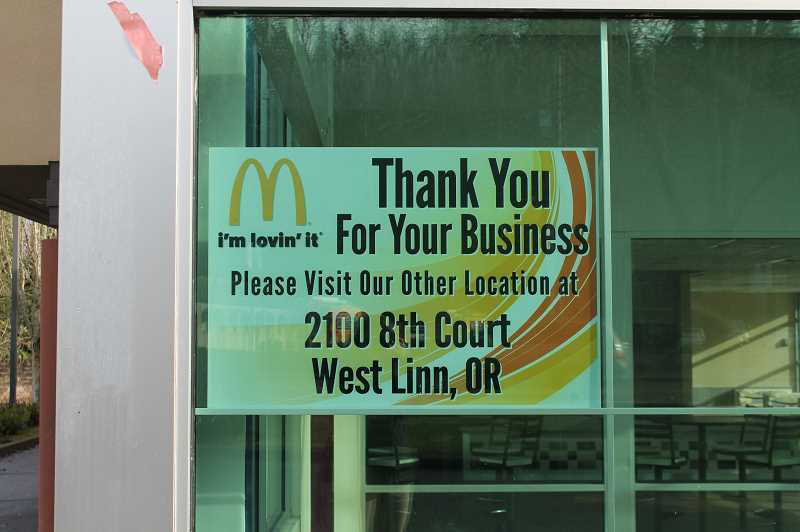 However, franchise owner and operator Mindy Mayer — who owns several other McDonald's in the area, including the one off 10th Street in West Linn — said no one from the Highway 43 location will lose their job as a result of the closure. "Everybody's working for our other West Linn location or Gladstone, Happy Valley or Clackamas," Mayer said. "So nobody has lost their job." According to Mayer, the primary reason for the closure was the restaurant's location. "That location has been really nice, but it was always on the wrong side of the road," Mayer said. "It really gets busy in the morning, but you couldn't get back on the road ... there was no stoplight to let you back on, if you got off. "That made it difficult for people to come there." The restaurant wasn't in such dire straits that it was forced to close, according to Mayer, but the decision made the most sense going forward. "We didn't have to shut it, but the land became more valuable and it was just too difficult for people to get on and off the road," Mayer said. Mayer, who said she was one of the first women to own a McDonald's franchise in Oregon, has been in the business since 1990. She said she appreciated the customer base that built up at the Highway 43 location, and she hoped those diners would move to the 10th Street location going forward. And since McDonald's will still have one foothold in West Linn, she said it will continue its frequent community service efforts and sponsorships of local youth sports teams. "We love the community," Mayer said. "We're still here." The Highway 43 location had several historic photos of West Linn on display, and Mayer is looking to find a new home for them. 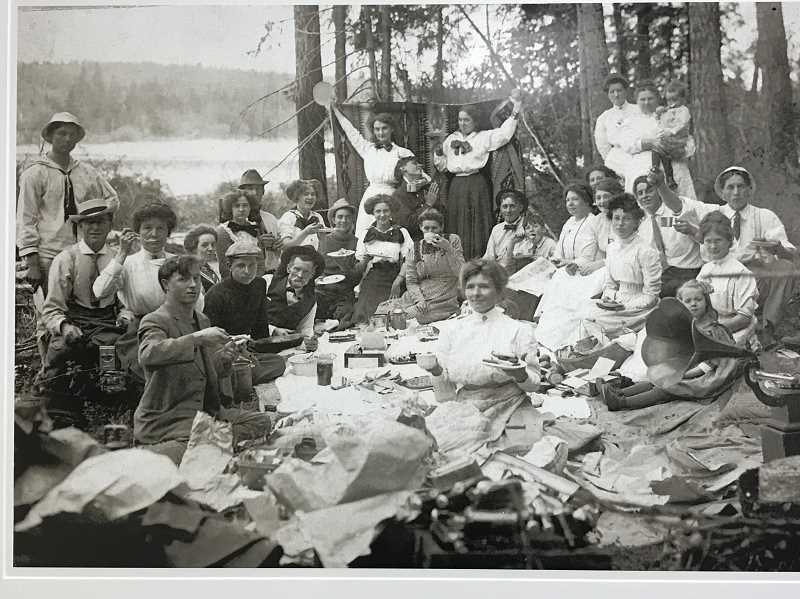 The photos depict scenes from the city's earliest days, including a community picnic and a horse-drawn "school bus" wagon. "Anybody who's been inside would remember seeing them," she said. "I'm looking for an organization to donate them to." Mayer can be contacted through the Wilsonville-based Green Tree Enterprises at 503-685-5002.